This port is located somewhere under your drivers dash, lay on the floor and look up. In some cars, it may be behind a panel, but almost all cars will have this port. From this port, information such as fuel, mileage, and other information comes out via data. Most importantly, it has power and ground. So from this port, you can PLUG IN A SELF CONTAINED device and have GPS in less than FIVE SECONDS. Do you have a new teen driver in your family, do you want to track your car for security or other reasons? 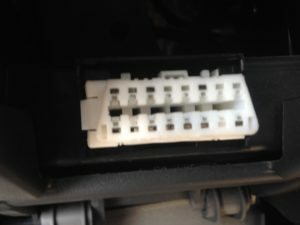 Most people will not know to check the OBD port for a device, you after you plug an OBD GPS tracker in your car, no one will usually know but you! Track where your kids are, when they drive and if they are going too fast. See where your wife is and if she is stuck in traffic. If your car gets stolen, call the police with the exact location. Below are some devices we recommend after going through a few products. We recommend the VYNCS because it includes the DEVICE –AND– the monthly subscription in the price. No extra fees for one year! And renewal is the same price as of this writing. All devices have 3G cell service, so there will be NO FREE GPS tracking device on the market. Be advised of that. An more upgraded unit is the MASTRACK which has a BATTERY BACKUP! If you want an unit which you can hide away, check out the SCOUT. This will have a built in battery for 24 hours, anything longer and it will need to be recharged or connected to a wire for charging. Next Next post: Winter is coming. Heaters for cars and trucks.